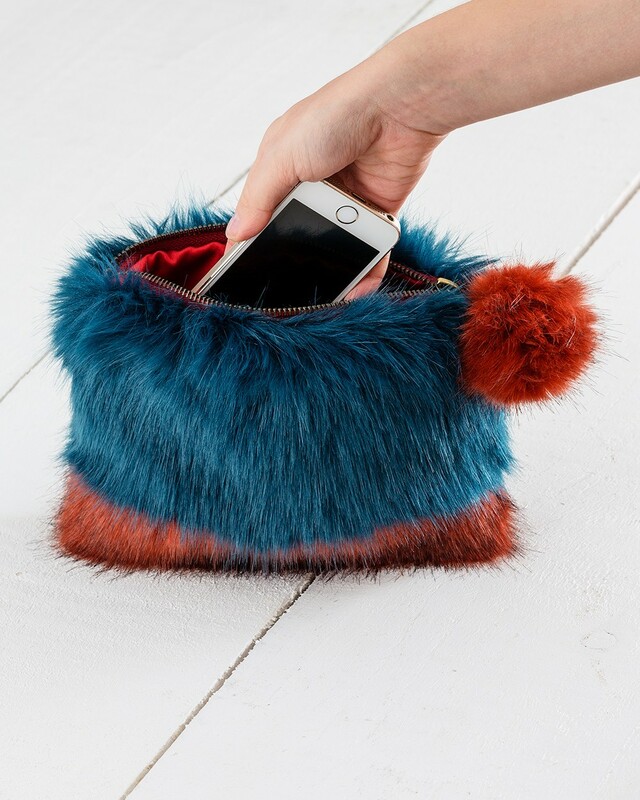 For a true statement piece to add to your accessory collection, look no further than this faux fur clutch bag. 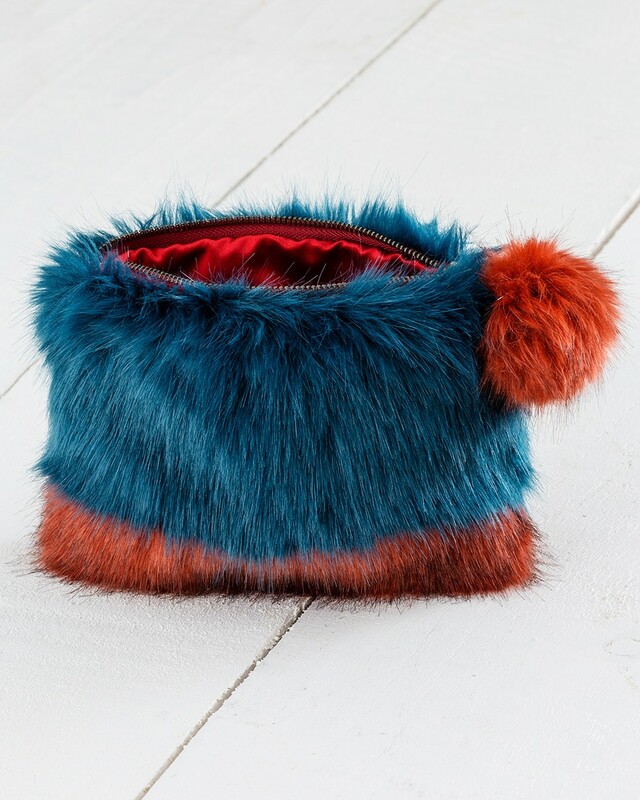 Cast in contrasting shades of blue and burnt orange, the faux fur is luxuriously thick and soft. The pom pom zipper and contrasting satin lining make opulent finishing touches.